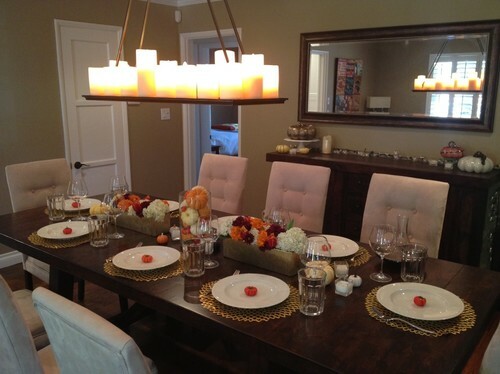 Add just a touch or orange here and there with flowers and mini pumpkins, simple and elegant. 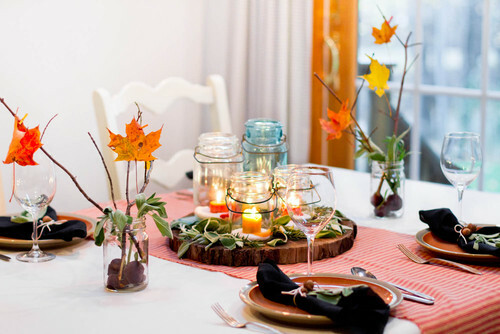 This is how to decorate for Thanksgiving without exhausting your pocketbook and your energy! I am in love with the tall glass jar with the nuts holding the candle a simple idea with bit impact. 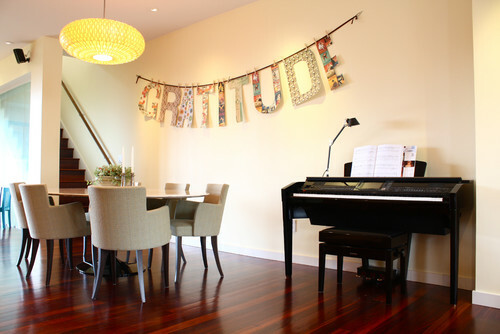 Word art hung and huge impact at a low cost. You could make a crafty verson of this with the kids using paperbags and string. Tiny fall leave in mason jars. 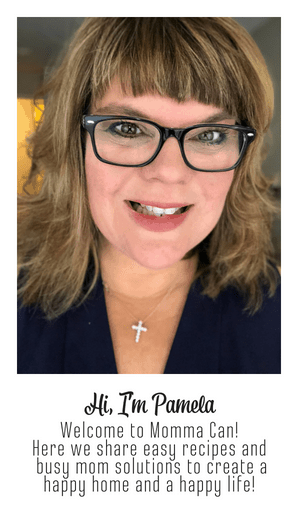 Easy and kid friendly. 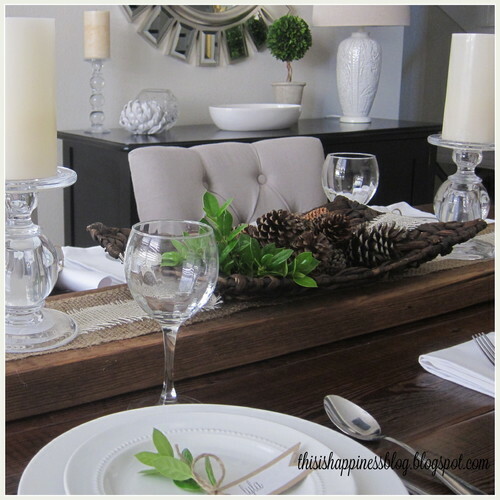 Pinecones, my go to natural element for Thanksgiving, Fall and Christmas. I miss having pine trees in my yard, but I can scout them out on a long walk in our neighborhood. 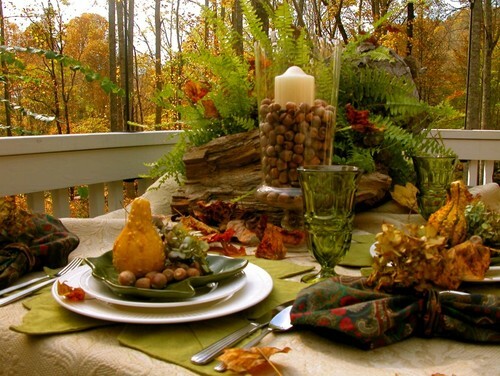 Decorating for Thanksgiving should be super simple, nuts, pinecones, flowers and fall colored textiles will go a long way for a beautiful table settings.